Yes it is true, you use large fonts for your headlines but the question what you type in those headlines. Here are those recommendations that helped me to better optimize my sign up forms and increased my subscribers by 37% by changing the headlines. I used two headlines. In the first one I got success but not that much but when I changed to another one the success ratio of sign up was with 37% growth. The first headline that I used was Join Avdhootblogger. Second headline that I used was Get free optimization tips. It is true when you use the headlines like join avdhootblogger. Somewhere people take it as an order and it does not convert into conversion. But when you use words like get free optimization tips. It works for you. Get free always works and still working so it is better to use get free words and then your niche. It will increase your subscribers than use Join avdhootblogger. I made these changes and today I am happy with subscribers that I have. This is the most basic sign up form optimization tips that really works. 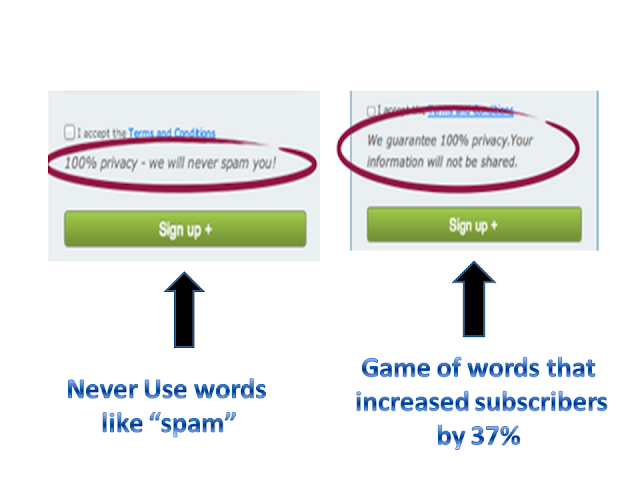 As you can see in the image I was using the word like spam which no one likes and it resulted into less sign ups. But as soon as I changes those words with the most likable words "we guarantee" and the words that emits positive energy it increased my sign ups and increased conversion rate. So it all the words that you use and it is optimization. So these were the two basic sign up form optimization tips that increases subscribers and more conversion rate. Always use those words that emits positive energy. Never use words like spam. Use words like Get free in the headlines. Never use words like join. It sounds like ordering. 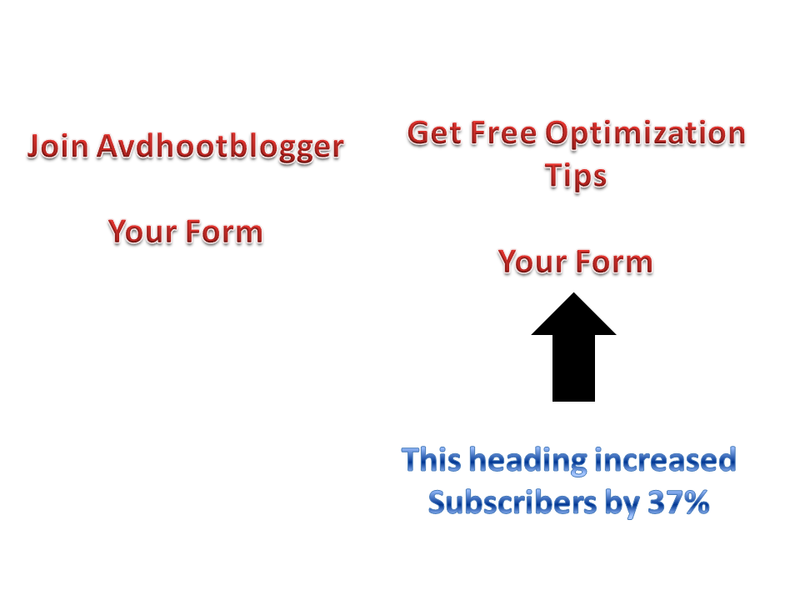 So these were the two basic sign up form optimization tips that increases my subscribers by 37% and more conversion rate. 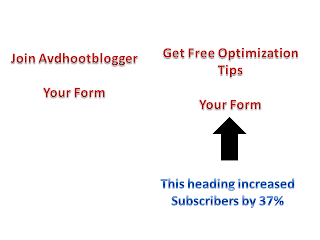 Description : 2 Sign up form optimization tips that increased my 31% subscribers. A little trick in design and change of some text gave me a huge conversion rate.